I’ve tried it all, it seems. I love makeup and “girly stuff”! I’ll be sharing my product reviews with you and would love your feedback on what I should try, too! Today I’m looking at NYX Micro Brow Pencil—MBP05 Ash Brown. I’ll be honest. I’m not super big on the current eyebrow super-groomed and super-big look. At least it’s not for me, anyway. Until “they” give me back 80’s “big hair,” I’m not doing it! I do keep my brows cleaned up and not too thin, though… So, I’m not a freak, yo. I will tell you this, however… One “gift” of getting older is that your eyebrows fade… As does your lip line. But, that’s for a separate review. We’re talking eyebrows here. NYX Micro Brow Pencil is supposedly a dupe for the Anastasia Beverly Hills Brow Wiz. I cannot claim that with certainty since I have not tried Anastasia’s product, but it is widely circulated. With NYX at a fraction of the cost, I’ve never moved on to try the Brow Wiz. What I like: the small pencil gives you natural, hair-like strokes, easily achieving a natural brow appearance. I recommend going light, and building to get your desired eyebrow look. I didn’t find it to smudge or fade. Yes! Long-wearing is my bae! I mostly use mine to color, darken, shade and fill in my brows. I also like the spoolie side to brush through my brows when I finish with the color pencil side. This is a HIT! 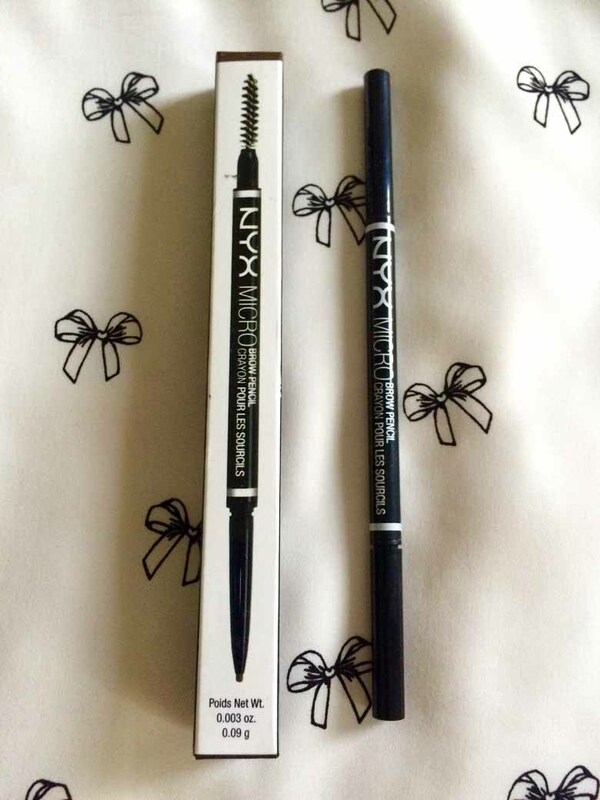 NYX Micro Brow Pencil Crayon shapes, defines, and fills in your eyebrows like a dream. I give this pencil a 5 out of 5. For more makeup reviews, click here!